Before going on a camping trip, it’s important to create a checklist or have an idea of the best way to pack to enable a more fluent and comfortable trip. Why waste your time cramming junk into your backpacks that will destroy your back? Don’t be the last minute packer or over prepared camper who brings everything in their food pantry from home. Packing for camping draws similar comparisons to preparation for a vacation. You need to plan ahead and have the right luggage to fit your camping needs. 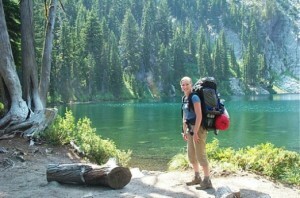 As for luggage when outdoors, a great backpack makes a world of difference on your trip. You need a backpack that supports multiple items, clothing and fits comfortably on your body. Here are five important items you shouldn’t forget at home when loading your backpack. The plastic food storage bags come in handy when packing for camping. Packing the right way ensures a better trip. Storage bags properly seal and protect food, clothing, medical supplies, matches, and other items from water damage. If your backpack becomes subjected to water exposure, you shouldn’t worry too much about the sealed items in the air tight storage bags. Also, make sure your sleeping bag is tightly covered by a trash bag or the protective cover that comes with it. No one wants a wet sleeping bag. Again there’s emphasis on water protection. Compact rain jackets are easily stuffed into the top pocket of your backpack for quick access when you sense a storm coming. Good rain coats are light, extremely water resistant, and breathable. Despite the heavy rains in summer, you can still sweat in your jackets due to humidity. Breathable material in certain rain jackets keeps you dry while letting you remain cooler. There are many brands that promote great rain jackets, backpacks, and other camping supplies, but gear from Patagonia usually is at the top of camper’s lists. Clean water is one of the most crucial things when camping. Perhaps your campsite doesn’t have fresh running water for cooking, washing your hands, drinking, or brushing teeth. You must stay clean while camping. You should expect to get a little dirty here and there, but cleanliness is key on any vacation or trip. When handling food, the clean water from your water purification bottle allows you to wash your hands safely. If there’s no accessible water, then utilize hand sanitizer. Dehydration leads to health issues when camping. When hiking, setting up tents, fishing, and throughout any other camping activities you must drink plenty of water. Water purification bottles encourage you to drink water since they have the ability to create clean drinking water. When packing the bottle, avoid sticking it inside with your clothes and other items. You don’t want any leaks that damage electronics, ruin food, or dampen clothing. Use an inexpensive mountain climbing clip to attach the water bottle to the outside of your backpack. This allows you to have easy accessibility to clean water often. A tent might be the heaviest item on your camping trip. If this is the case, then you should secure it at the top of your backpack. When loading your backpack, it’s important to place the heaviest items towards the top. Your tent should breakdown to less than two feet in length and should contain a secure cover. The more compact and lighter tents enable a better camping experience. The only other item packed close to the tent should be your first aid kit. Despite its small size and light weight, you need to have quick access to medical supplies in case of an emergency. Unpacking your entire pack during a dire situation will make a disaster even worse. Most campers stress duct tape and knives for utility tools, but a bungee cord’s features address many issues and take up little to no space in your backpack. When loading your backpack, you can attach items to the bungee cords on the outside. Or if you need to securely strap down a tent, shoes, or sleeping bag, bungee cords get the job done. They are valuable tools for any camping situation.